Spending Christmas in Fiji is amazing, says Australian tourist 76-year-old Ted Dally. Mr Dally and his wife, 75-year-old Joyce Dally spent their Christmas in Nadi. “This is our first time in Fiji and we found it to be the most relaxing place ever,” Mr Dally said. “The surrounding is very clean and to top it up, people are friendly and outgoing,” he said. “We came in the Sea Princess cruise ship and for us even though we spent our Christmas away from home, it was still pleasant since we got to spend it with the beautiful people of Fiji,” Mrs Dally said. 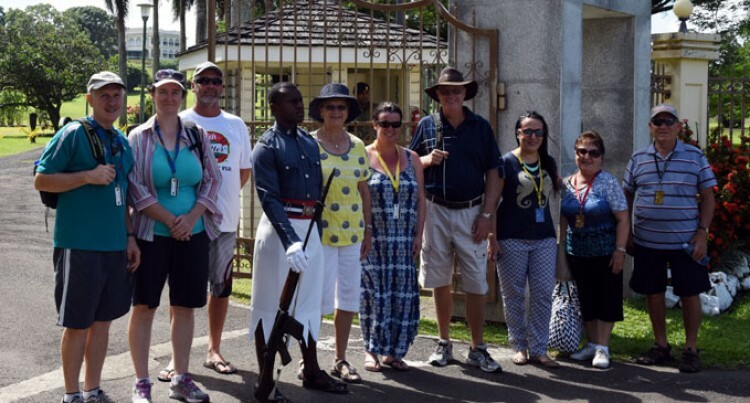 The couple spent their last hours in Suva and visited the gates of Government House at Nasese taking pictures with the guard before they departed yesterday.